It can be overwhelming to make better choices toward a healthy lifestyle! Where do you start? Food? Cleaning products? Personal care? Exercise? Meditation? Chiropractic? Essential Oils? Many times, we can become FROZEN because we are too scared to act! Our friend, Ashley Koff, RD of Ashley Koff Approved has a great Better Nutrition program geared to help YOU do ONE THING better each week! We don't have to be perfect. 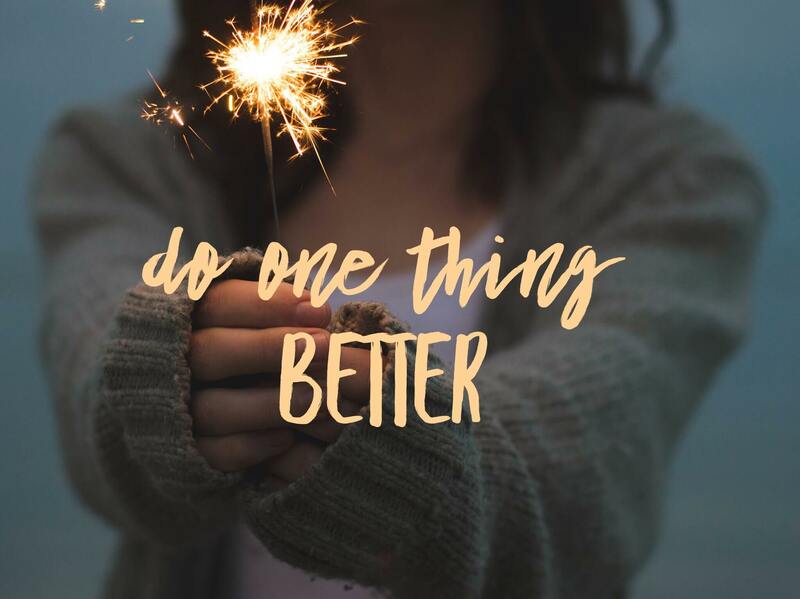 Nope…do ONE THING better…each week and just see how your life will transform! The better nutrition evaluations help you assess your current (total) nutrition, see what needs attention, and address your needs, better. The other better nutrition tools (menus, lessons, do 1 Thing Better challenges) help you make better, not perfect choices more often. You Deserve Better! Ashley offers step by step support to make changes EACH week! Just think how different your life would be if you made one simple change each week for a year! And, Ashley has been so generous to offer our readers a FREE PDF you can download to help you on your journey! Simply click the image below and download to your computer! You can use pure essential oils to support every body system, your emotions, sleep, focus…you name it. People have been using the healing powers of plants forever. You can add them to your arsenal to a healthy lifestyl! Her handy PDF will be great for you to download! 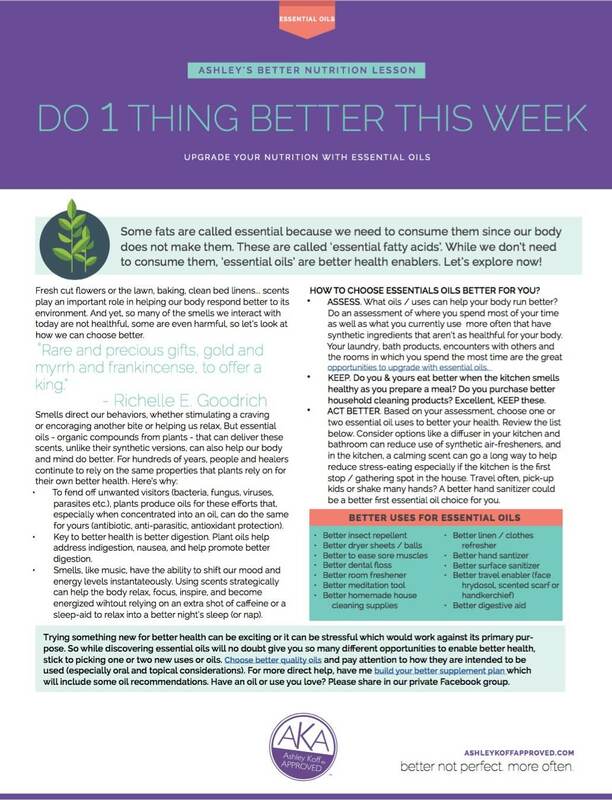 This Do 1 Thing Better This Week is just one example of all the goodies you receive with her Better Nutrition Program!